Buy it from the iTunes store! Buy the CD at our online store! 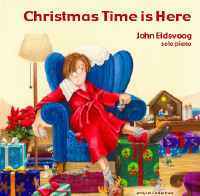 Christmas Time Is Here is a collection of solo piano selections with styles ranging from a lively version of Sleigh Ride in 7/8 time to beautiful and relaxing renditions of favorite Christmas carols.